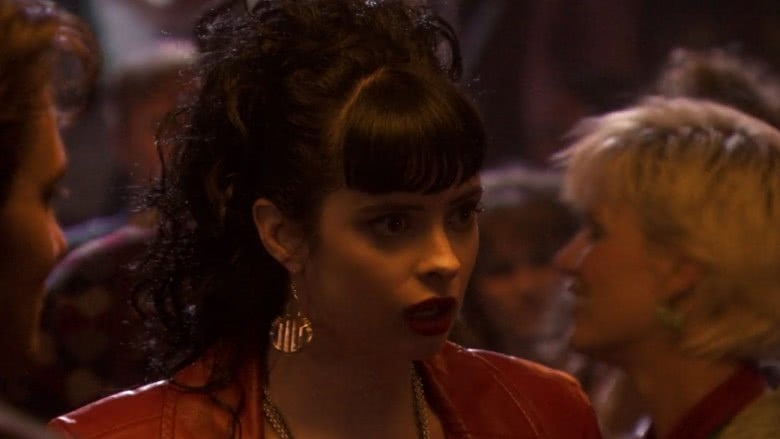 It was a long road for Krysten Ritter to become Jessica Jones. The actress, who is now well known to Marvel fans for her role as the hard-drinking, harder-hitting PI on the eponymous Netflix series, has had an extensive career in the movie and TV biz, playing small roles in a number of different series and films, always just on the brink of truly breaking out. Now that her star power is fully realized, people may have begun to ask themselves where they've seen her distinct dark hair and big eyes before. 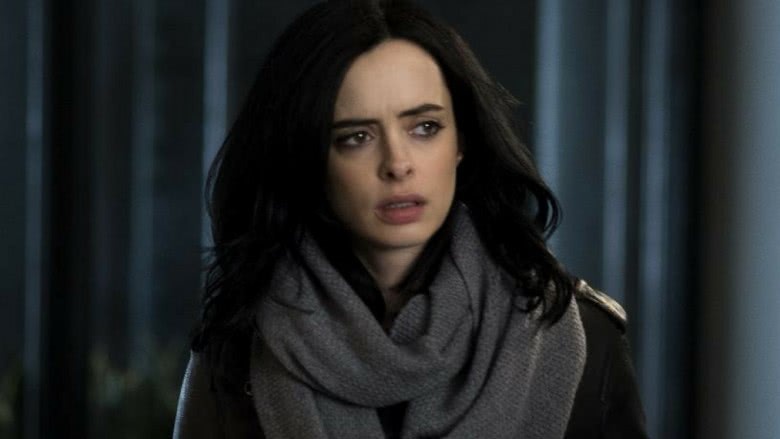 Here is why Jessica Jones looks so familiar. While Gia went missing during Veronica's college years, she made a triumphant return in the 2014 Veronica Mars Kickstarter movie, with Ritter's growing star power earning her a bigger role in the film. While the character ultimately met her demise in the movie, it was great to see Gia return to Neptune, even if some pretty shady dealings came along with her. 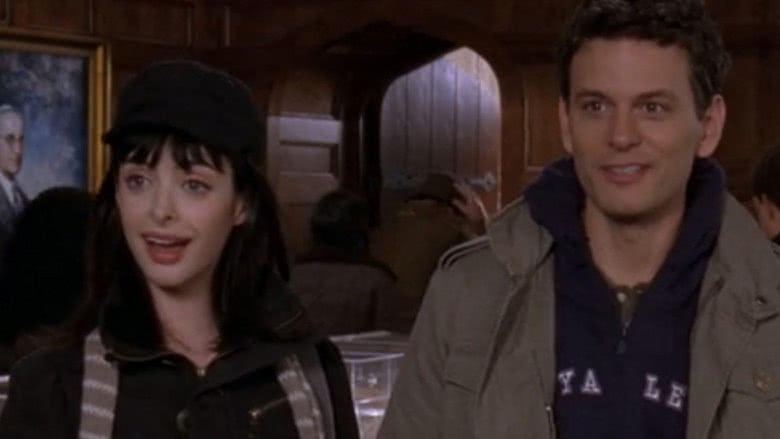 You may not have made it to the part of Gilmore Girls that Ritter appeared in, considering that the actress had a multi-episode arc on the show's ill-received seventh season. On the show, which is also known for launching a host of future stars through their early career guest-starring appearances, Ritter played Lucy, one of Rory's adventurous new friends from Yale who just so happens to be dating Marty, Rory's freshman year friend who had a pretty big crush on her (and who Lucy constantly and annoyingly refers to as "Boyfriend"). While Lucy and Rory ended up reconciling after their big fight over Marty and were still friends at the end of the show, Ritter sadly didn't show up for the recent revival, so we still don't know where the free spirit ended up. Ritter's character provided one of the titular dresses to Katherine Heigl in the first of the actress' many rom-com roles. Here, Ritter played Gina, the goth secretary at Heigl's office whose wedding places Heigl's perennial bridesmaid Jane in a spiky choker and purple tulle. (Don't worry, she can just shorten that dress and wear it again.) While Ritter didn't have much screen time in the film, it did mark one of her first big screen speaking roles and brought her into the film genre that would keep her working for the next phase of her career. Ritter's next stop on the rom-com train was the Ashton Kutcher and Cameron Diaz project What Happens in Vegas, which follows the aftermath of a shotgun wedding between the two, who are told by a judge they have to stay together in order to keep the millions of dollars they won on a slot machine jackpot. Ritter played Kelly, a friend with benefits of Kutcher's Jack who unfortunately ends up alone at the film because, due to rom-com rules, Kutcher and Diaz obviously have to end up together. We're still rooting for you, Kelly. Ritter made it all the way up to best friend status for her next role, playing Suze, the confidant and roommate of Isla Fisher's Rebecca, a journalist with the nasty shopping habit featured in the title. Suze and Rebecca's friendship doesn't exactly remain on solid terms throughout the film, with Rebecca's spending habits resulting in her selling the bridesmaid dress she was supposed to wear to Suze's wedding. However, in the end, the two get past their differences and end up happy. Ritter only appeared on a single episode of the teen soap Gossip Girl, but she was initially set to do much more. She was a part of the Season 2 episode "Valley Girls," which was supposed to be a backdoor pilot for a spinoff of the same name. The series, set in the 1980s, was set to follow the younger version of Kelly Rutherford's Lily van der Woodsen, here played by Brittany Snow. Ritter's character was her sister, Carol Rhodes, an aspiring actress whom Lily leaves to go live with after running away from her parents. Although fans responded well to the episode, it wasn't picked up to series due to The CW's tough line-up that year. Still, we can't help but wonder what could have been with a Ritter-starring, '80s-set Gossip Girl spinoff, especially considering the fates met by some of the other shows The CW ordered that season, which included the one-season wonder Melrose Place reboot and the Mischa Barton-starring The Beautiful Life, which got canceled after airing only two episodes. But hey, The CW did order The Vampire Diaries that season, so they weren't all failures, and Ritter ended up moving on to bigger and better things. Ritter's next role was in the meta zombie comedy Woke Up Dead, a web series starring Napoleon Dynamite's Jon Heder and future Frozen star Josh Gad. In the series, Ritter played Cassie, a med student who is shocked when the corpse she's about to dissect, that of Heder's Drex, wakes up. (Dead.) Alongside Gad's Matt, who decides to document the whole experience with a handheld camera, Cassie tries to help Drex figure out the cause of his newfound zombie-dom. The series wasn't exactly a hit with critics or viewers, but Ritter still found a lot of roles in the pipeline afterward. 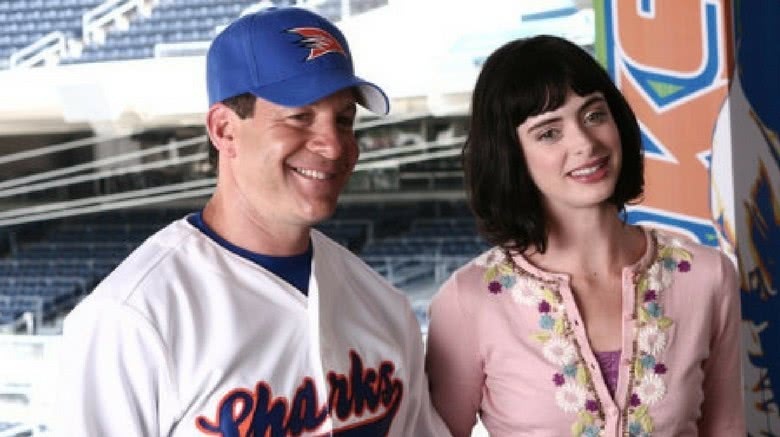 One of Ritter's most notable pre-Jessica Jones parts came in the form of her role as Jane Margolis, Jesse Pinkman's ill-fated girlfriend on Breaking Bad. Jane didn't have the best time of it on the series, starting off clean but quickly falling back into her old drug-using habits and bringing Jesse with her. The character ended up getting a memorable death at the intentionally idle hands of Walt, with her demise having profound effects on Jesse for the rest of the series. Even though Jane only appeared on the series for a short while, the character is still a big part of the Breaking Bad fandom and was one of the early examples of Ritter's solid dramatic acting skills. Ritter played the best friend again in her next rom-com role, starring as Patty, confidant to Alice Eve's Molly. Like most rom com best friends, Patty at first doesn't approve of Molly's chosen relationship (here, with the much less attractive Kirk, played by Jay Baruchel), but eventually she comes around and is key to helping bring the couple together. Ritter got to practice her future Jessica Jones sass in the movie and even had the chance to utter the phrase "Oh, I'm sorry, are you a plane doctor?" So this one is easily a must-watch. Ritter's next move was a drama for Starz called Gravity, a quirky show about an outpatient group full of suicide survivors. Ritter's character had the epic name Lily Champagne, but that was one of the few good things about the show. The series, which only ran for one season, was not very well received by critics, who accused it of having flaky and uninteresting storylines. Although Ritter was, as always, electric on screen, she wasn't given great material to work with in the poorly plotted drama. Ritter decided to write her own rom-com with 2011's L!fe Happens, a movie which she co-penned with Kat Coiro. In the film, Ritter starred as Kim, a woman whose life is thrown upside-down after she gets pregnant following a one-night stand. Her life is complicated even further when she meets a cute guy, who she pretty much immediately lies to, saying that her son is actually the son of one of her roommates. The movie didn't do so well with critics, with many claiming it relied too heavily on rom-com cliches. However, others praised both Ritter's performance and her script. While this is the actress' only film writing project thus far, she has continued her literary pursuits, with a book called Bonfire due out in November 2017. Ritter had to really sink her teeth into her next role as a New York socialite turned vampire in the comedy Vamps. The actress starred alongside Alicia Silverstone and Sigourney Weaver in the campy movie, which saw Ritter's character accidentally dating the son of the legendary vampire hunter Van Helsing. In addition to Ritter, the movie featured a cast full of future all-stars, including Justin Kirk, Dan Stevens, and Gael Garcia Bernal. The quirky film brought a new take on the vampire genre and featured Ritter with a pretty heinous spray tan, so it was definitely a win in our book. 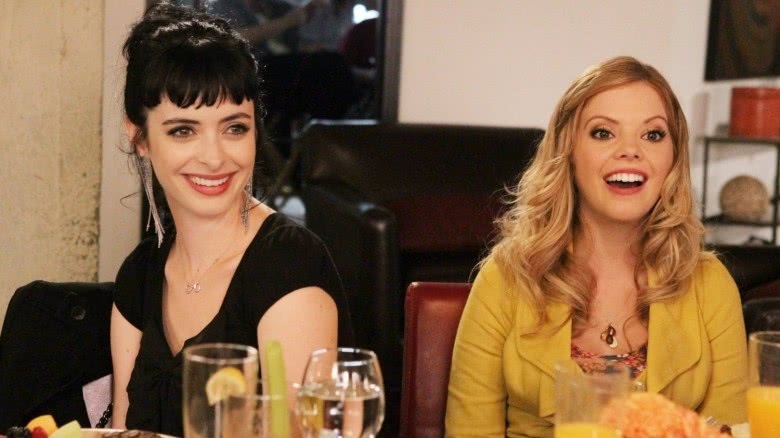 Bangs abounded in Ritter's pre-Jessica Jones roles, with the ABC sitcom Don't Trust the B—- in Apartment 23 being one of the hairstyle's most notable appearances. Ritter starred as the titular B, whose alcoholic tendencies would make even Jessica Jones take a step back. The character was often at odds with her roommate, June, played by Dreama Walker, over her irresponsible ways, although luckily she had her friend James Van Der Beek (played by James Van Der Beek, of course) to back her up. The show only ran for two seasons, but luckily it lives in a second life full of snarky comments and epic parties on Netflix. Ritter's character in the raunchy comedy Search Party was a wild, kidney-stealing delight, although the rest of the movie was much less fun. Ritter played Christy, a woman who seduces Adam Pally's Evan during a bro-y road trip gone wrong as part of an organ harvesting business she runs with Jason Mantzoukas' Hugo. The movie wasn't well received, but Ritter's stripped-down performance got quite a lot of attention online. Ritter's next best friend role was in a much bigger film than her past outings, with the actress taking on the part of DeeAnn in Tim Burton's biopic Big Eyes. 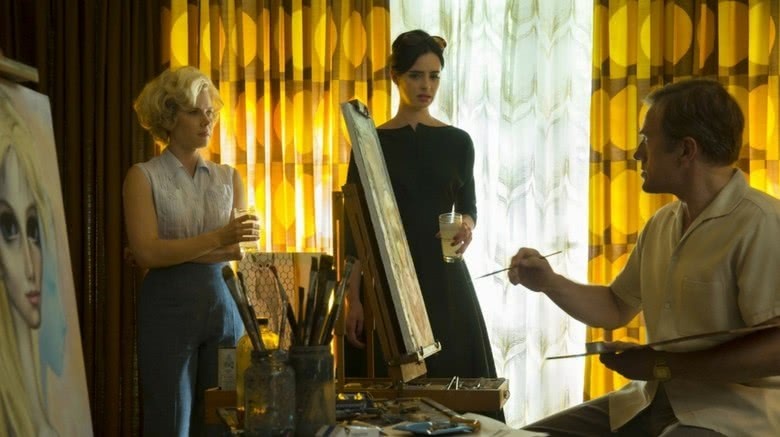 Ritter's DeeAnn was constantly speaking truths to Amy Adams' Margaret Keane, repeatedly telling her to be careful in her relationship with Walter, the man who would eventually go on to take credit for her famous paintings. Ritter said that working on a film with Burton had been a goal of hers since the beginning of her career, but she also found a particular draw to the character as well, calling her "a bolder woman who speaks up," something which is definitely reflected in her Netflix superhero.